President Donald Trump addressed the United Nations General Assembly on Tuesday in New York City and didn't hold back from using bold language to address issues such as North Korea, terrorism and Iran. Trump's speech was wide-ranging and addressed many different topics such as radical terror, the nuclear threat of North Korea, Iran's funding of terrorist groups, Iraq, Syria, Cuba, socialism, and United Nations reform. Not only did the president threaten to "totally destroy" North Korea if the United States is forced to defend itself or allies from the Kim regime's nuclear threat, he also called out Iran for using oil profits to fund terrorism instead of serving its own people and lambasted the fact that the U.S. accounts for a substantial chunk of the U.N. budget when it is only one of 193 nations in the international body. Although many critics have been quick to voice their disapproval with Trump's bold language and threats in the speech, some evangelical and Christian leaders praised the speech and some even compared Trump to former British Prime Minister Winston Churchill. 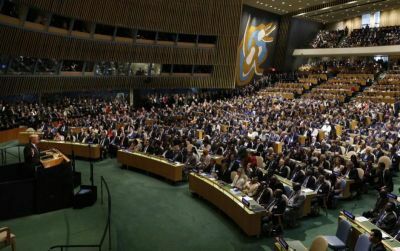 Here are five evangelical leaders' reactions to Trump's U.N. speech.